Disney’s 56th animated feature film may feature a strong willed daughter of a Polynesian tribe chief, but it is, in many ways, similar to Frozen (2013), the animation studio’s other commercial hit. And this became clear the moment we heard “How Far I’ll Go”, the soundtrack’s most radio friendly tune – “Let It Go”, anyone? Performed by Auli’I Cravalho, the song is a signature Disney anthem where the protagonist sings about her struggles before realising how important it is to stay true to herself (other classic tunes of the same ‘genre’ include Pocahontas’ “Colours of the Wind” and Mulan’s “Reflections”). With the newfound strength, she will overcome all obstacles and achieve the unachievable. Boasting soaring melodies and grand orchestrations, this song (which is revisited in “How Far I’ll Go (Reprise) and “I Am Moana (Song of the Ancestors)”) will have young girls everywhere braving the storm and going out there to pursue their dreams. The highly recommended soundtrack combines traditional South Pacific culture with pop and Broadway elements, and the producers hired Broadway playwright, songwriter and composer Lin-Manuel Miranda, composer Mark Mancina and Samoan singer-songwriter Opetaia Foa'I for the job. From the first track “Tulou Tagaloa”, it sets the tone with the cue’s rhythmic tribal beats. “We Know The Way” and its finale version are uplifting and optimistic tracks that will have you feeling that you are sailing on the high seas. Two interesting cues are Jermaine Clement’s villain song “Shiny”, a psychedelically unique song and Dwayne Johnson’s “You’re Welcome”, a very fun and catchy song which we hope can get more attention. Plus, who doesn’t want to hear The Rock rap? 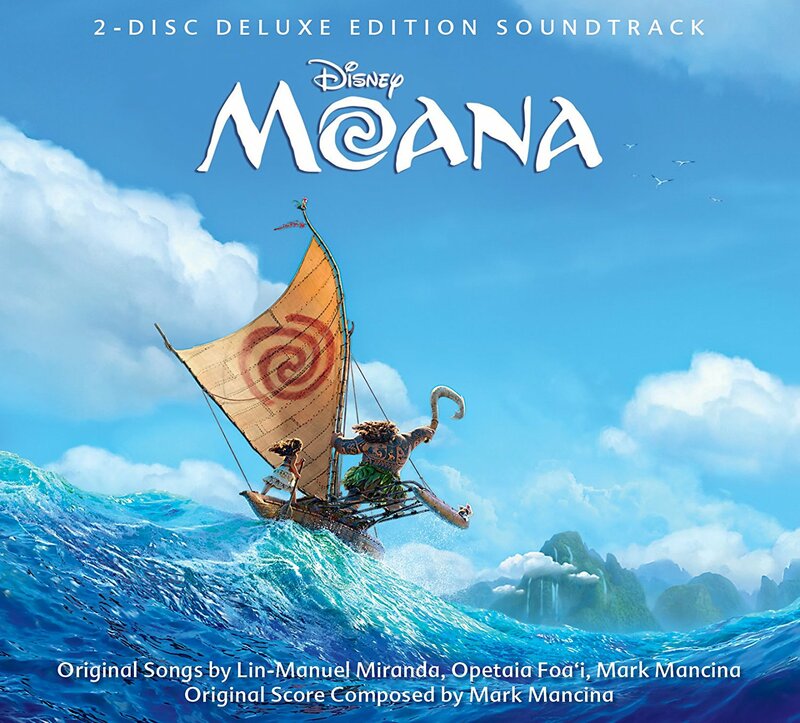 The 76 minute soundtrack also contains a generous amount of score material chronicling Moana’s adventure – from the mystic “He Was You” and “The Ocean Chose You” to the majestic “Sails to Te Fiti” and “The Return to Voyaging”. The deluxe edition adds an additional disc with 44 minutes of demos, outtakes and instrumental karaoke tracks. This album is definitely a soundtrack fans should own.